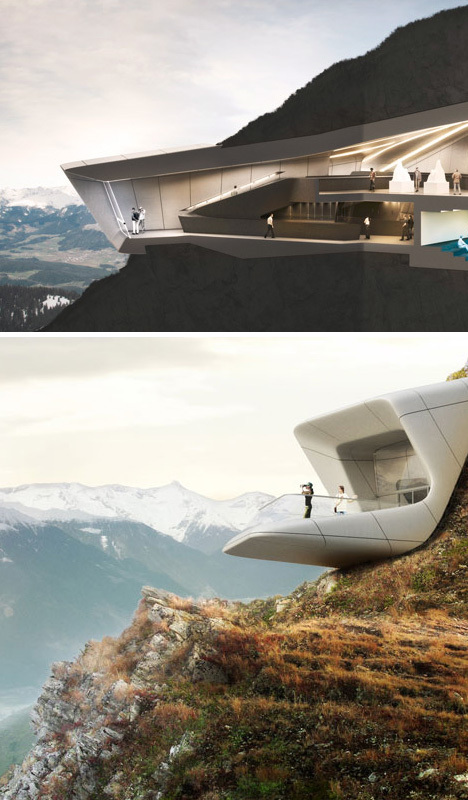 In a bold yet beautifully contextual move, this embedded mountaintop museum structure is part of a series of buildings set high in the mountains of Tyrol, Italy, and designed by Zaha Hadid Architects. 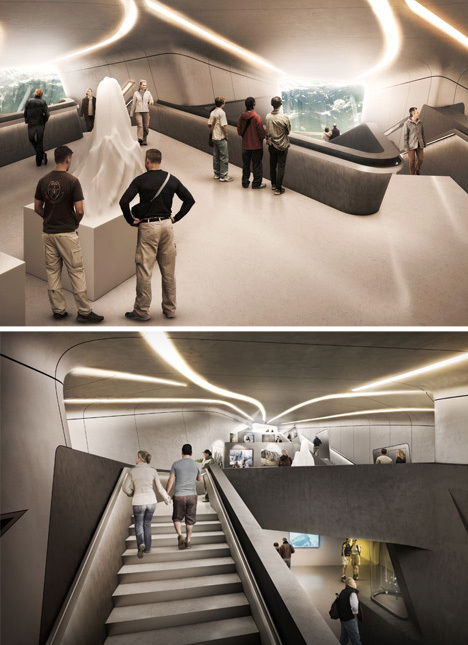 Visitors ascend the slope from below, enter a glazed above-ground space, then pass through subterranean exhibit rooms and come out onto an observation deck with stunning views down the steep sides of the mountain below. 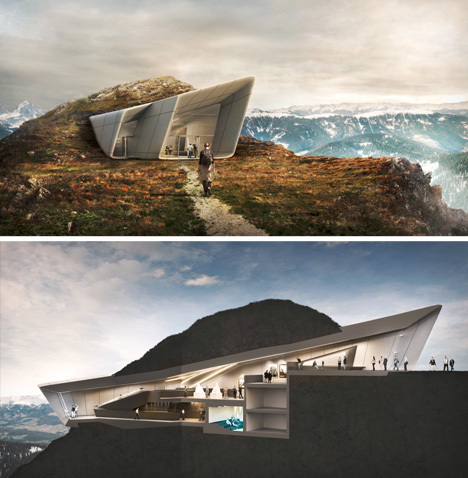 The sixth of the set, Messner Mountain Museum is situated at the peak of Mount Kronplatz above a regional ski resort. 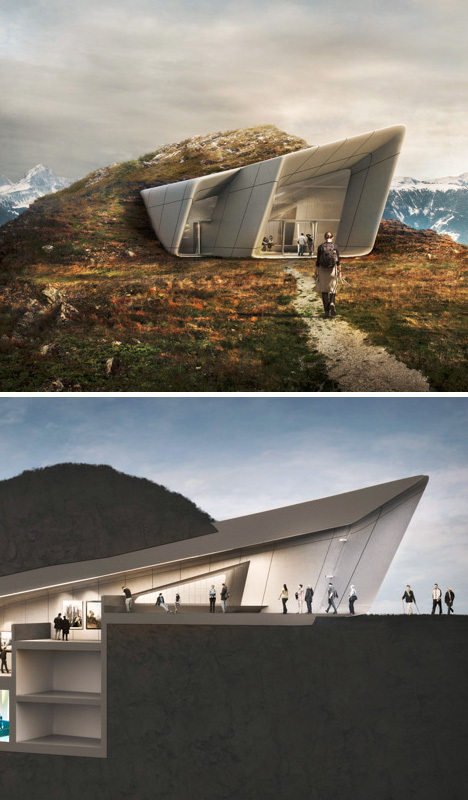 It is designed to educate visitors on the discipline of mountaineering and celebrate the world’s greatest rock faces. 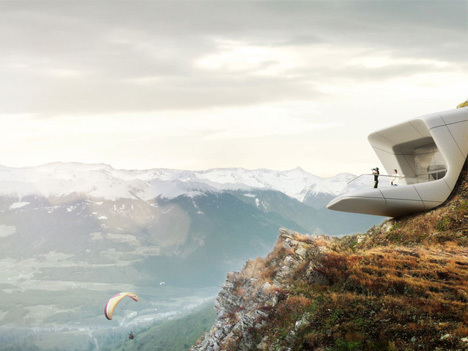 Aside from its sinuous aesthetic, the strength of this design relies on sequential experience – movement through the building provides an appreciation for both the site and the subject matter of the museum. It works, quite literally, on a number of levels.